I started this journey with art as a young child painting, drawing, sewing, and making crafts. 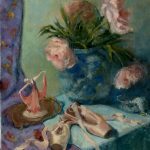 I was a nurse for 17 years, and it was several years ago that I revisited art by taking an oil painting class and then a pastel class and I fell in love with pastels. 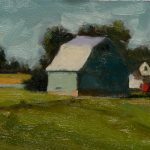 I am now painting in mostly oils, and continue to learn something new every time I pick up a brush! 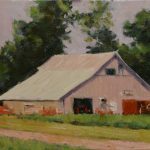 Through art, I have met so many talented artists all over the country and here in the middle Tennessee area. I have now started my own business. 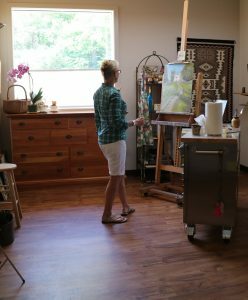 I've built a working studio that has six art studios within, a common work area, and a workshop area where a variety of workshops, open studio, and classes are held at "On Track Studios" There is also room to paint en plein air!